​Tottenham manager Mauricio Pochettino has called for 'help' from the Premier League after suggesting the league's scheduling puts English clubs at a 'massive disadvantage' in Europe. Spurs have travelled to Germany for the second leg of their Champions League last 16 tie against Borussia Dortmund in a commanding position, having won the first-leg 3-0 at Wembley in mid-February. Despite the advantage on aggregate to progress to the quarter finals for only the second time in the club's history, Pochettino has questioned the decision for ​Spurs to play their most recent game, a 1-1 draw against Arsenal, on Saturday, whereas ​Dortmund played their game against Augsburg, a 2-1 defeat, on the Friday, giving them an extra day to prepare. "You play Saturday and travel today, so there is no time," said Pochettino in his pre-match press conference, as quoted by ​The Telegraph. "Borussia Dortmund in the first leg had more time to prepare and now the same because they played Friday. The only way we can prepare is talking. And not talking too much because Saturday was a very tough game, a derby against Arsenal. The energy you spend, mental, too." 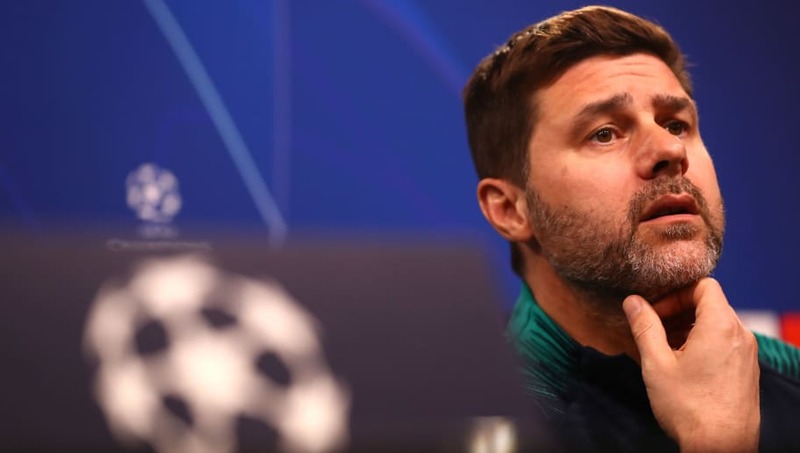 The same thing happened prior to the first leg in February, with Dortmund playing their 3-3 draw against Hoffenheim on Saturday ahead of the game on Wednesday, while Tottenham played their 3-1 win against Leicester on Sunday, with Pochettino calling for support from the ​Premier League to assist English clubs in European competition. He added: "We need help from the Premier League. I am not involved in the decisions. But Dortmund play Friday and for us impossible. We played on Sunday before the first leg and then Wednesday. Now Saturday when Dortmund play Friday. "I don’t know whether to blame the Football Association or the Premier League or Tottenham because we do not have the stadium ready, or if it’s the TV who want us to play live. "We need to change to help English clubs be stronger in the European competition. We need to be more sensitive to the clubs who play in Europe. It was difficult before, it is difficult now and it’s going to be more difficult in the future."